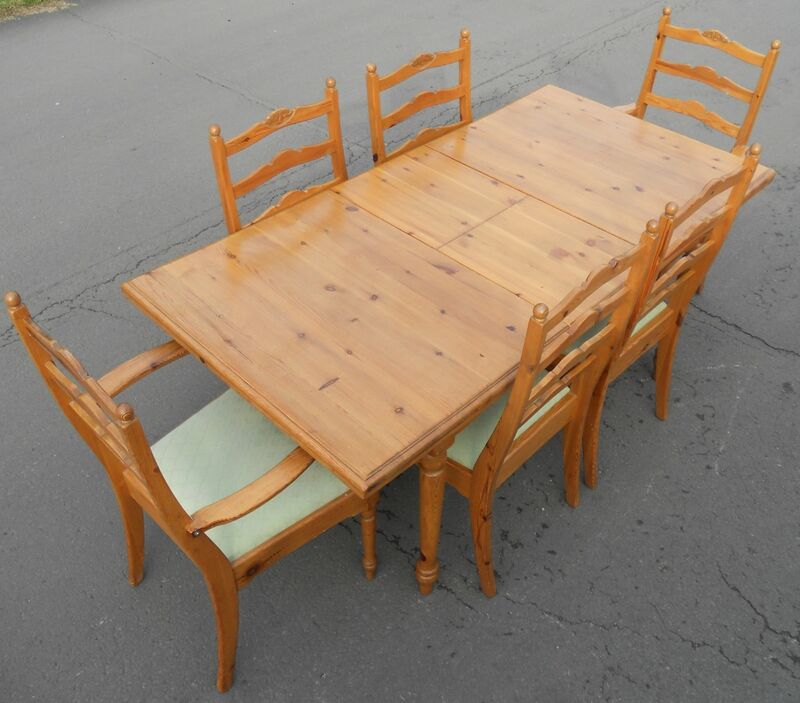 Jaycee pine dining room set in the antique Georgian style. 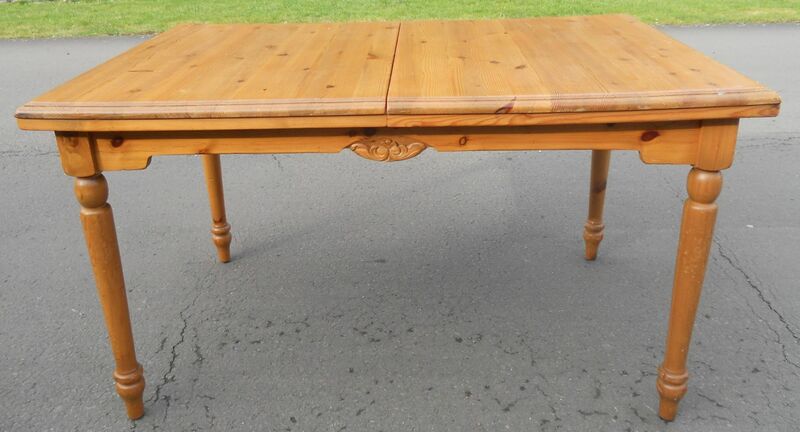 Extending dining table with extra leaf raised on four turned legs. Legs are removable and easily screwed back into position, making this ideal for transporting or carrying into a property with a narrow entrance. Leaf remains underneath table when not in use. 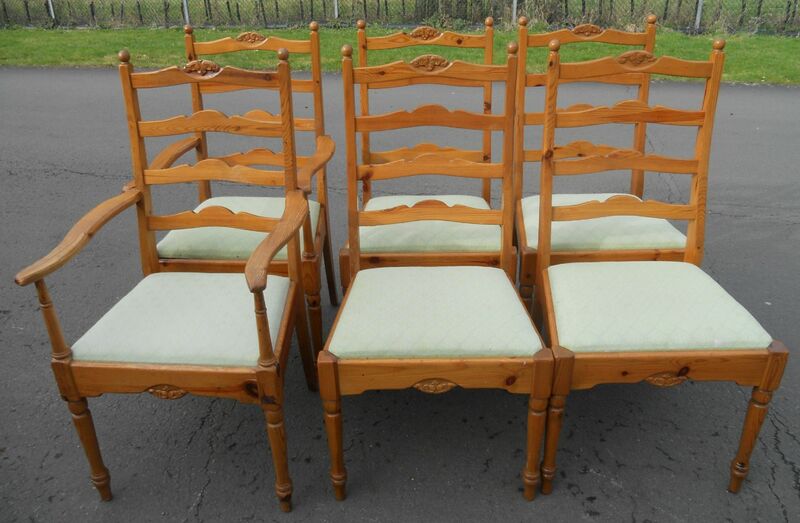 Set of six dining chairs, two carver armchairs and four matching single chairs all with drop in seat pads.